Need fire conveniently at hand? Easy: get it in a can. 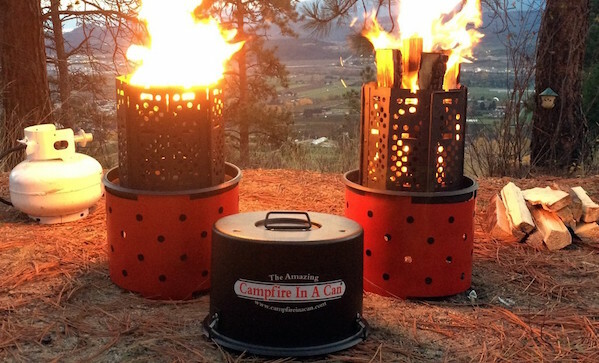 This Campfire in a Can (fully funded on Kickstarter) is fully portable, in that all the parts are in the can, which you can just pick up and go. When you’re ready to burn something, pull the lid off and boom—fire. It takes wood, charcoal, and propane. If need be, you can use the optional stand if you’re in an area with a raise fire pit rule. Best of all, when it’s time to put the fire out, you just put the lid back on—no oxygen, no fire. All in all, it’s a pretty awesome design.